I recently exhibited my Arts Council England Supported work, A Solid Wish Scatters at the Enlighten Manchester Festival. 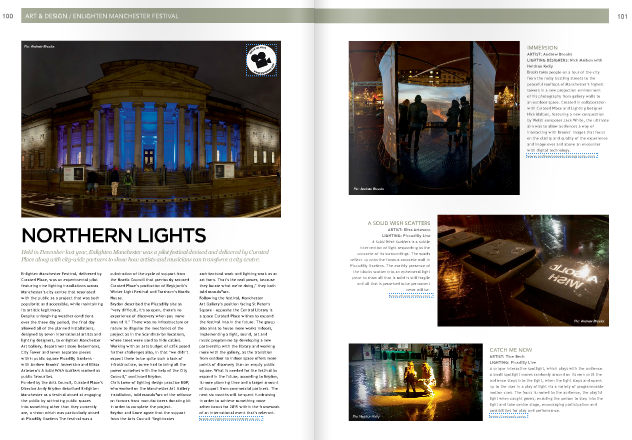 It received really good feedback and I’ve just found out that the festival has been featured in leading Lighting Design magazine Mondo*Arc. My work is quoted as a ‘public favourite’ which I’m obviously really pleased about! See the full article on page 100 of the digital edition here.